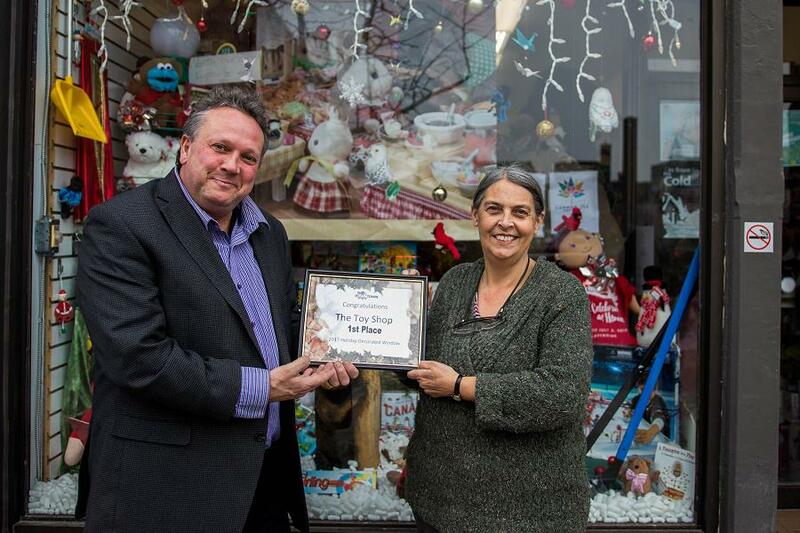 On Saturday (December 2), a group of children involved with Big Brothers Big Sisters of Peterborough were invited to judge the annual Holiday Window Contest presented by the Peterborough Downtown Business Improvement Area (DBIA) — and they selected The Toy Shop as the first-place winner. The Toy Shop’s display at 176 Hunter Street West is filled with colour and encompasses the Canada 150 theme. 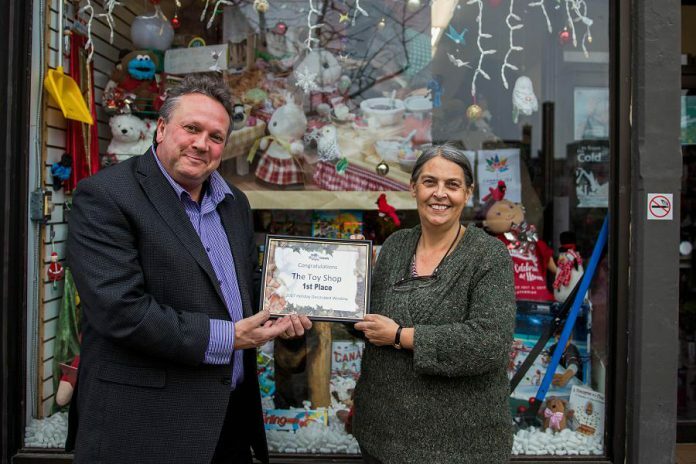 “We had a lot of fun decorating our display and incorporating the Canada 150 theme for the Holiday Window Contest,” says Jean Grant, owner of The Toy Shop. 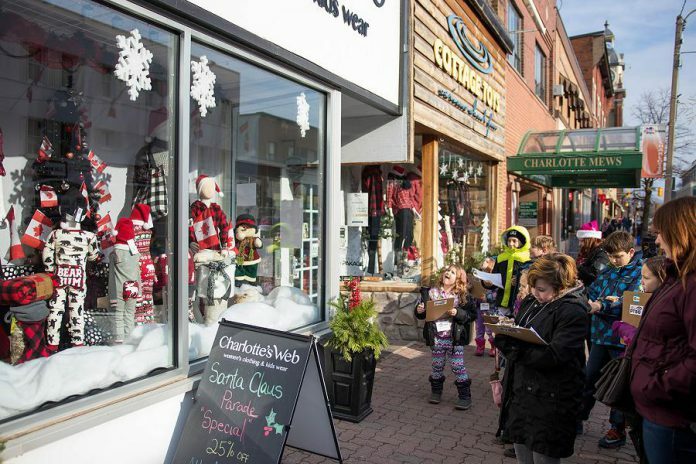 A total of 22 stores in downtown Peterborough participated in the contest, with the DBIA offering cash prizes of $300, $150, and $75 for the top three window displays. Grant says she will be donating the $300 grand prize to the Salvation Army Toy Drive, which takes place on Saturday (December 9). Grant participates with the Peterborough Professional Firefighters in the toy drive every year, to leverage their $2,000 donation to purchase even more toys through deals with her suppliers. 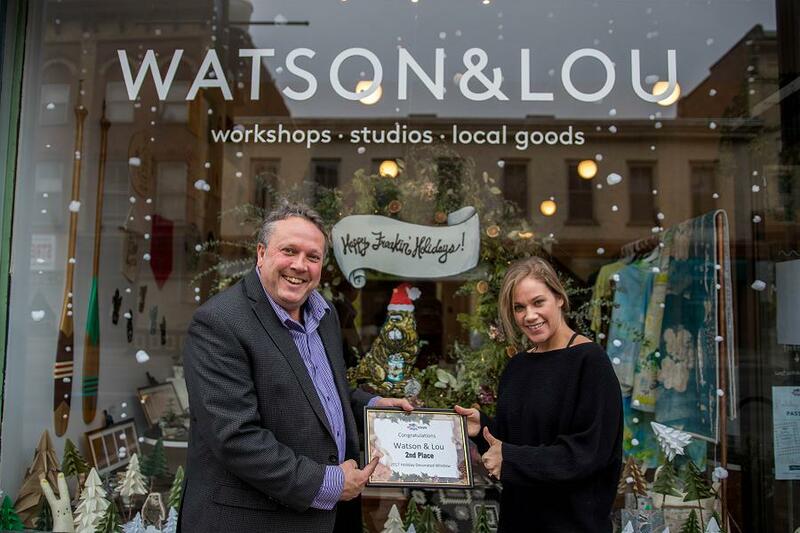 Second place went to Watson & Lou’s display at 383 Water Street, and third place went to Needles in the Hay at 385 Water Street. Established in Peterborough in 1964, Big Brothers Big Sisters provides mentoring programs for children and youth. To support or volunteer to support children in need, please visit www.peterboroughbigs.com.